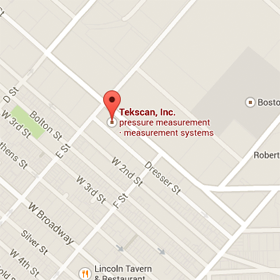 We are here to support you in using Tekscan products for optimal performance. Effective September 5th, 2017 Tekscan will be charging $95.00 per event for support services provided to non-contract customers. Get answers to frequently asked questions about our systems, hardware, software, and computer requirements. Learn about the support contracts we offer. Watch training videos on how to use and get the most out of our products or request a training session with one of our product trainers. Get the latest software drivers for your system. Application engineers are available for on-site consulting to help with testing performed using Tekscan systems. Contact your sales representative.